The breakthrough agreement, following talks in Geneva, will see a nationwide ceasefire starting on Monday, followed a week later by an unexpected new military partnership between the US and Russia to target Islamic State and al Qaida militants. The plan would also establish new limits on president Bashar Assad's forces and enable humanitarian supplies to reach the besieged city Aleppo. 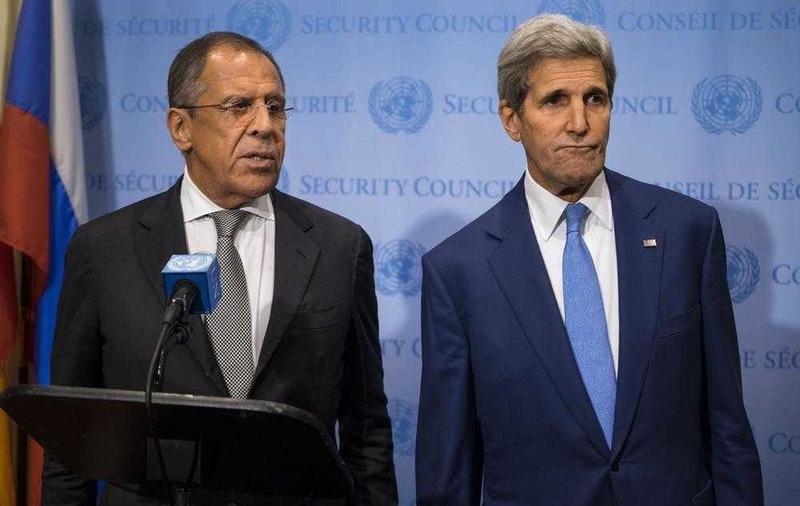 The deal was thrashed out by US secretary of state John Kerry and his Russian counterpart Sergey Lavrov and it is hoped the plan could reduce violence in Syria and lead to a long-sought political transition, ending more than five years of bloody civil war. Diplomats hope the deal will also focus military efforts on tackling IS and al Qaida militants, following long-standing complaints from the international coalition that Russia had been targeting moderate groups opposed to Moscow's ally Assad. The Foreign Secretary said: "I welcome the agreement that the US and Russia have reached to restore the cessation of hostilities and humanitarian access in Syria. I pay tribute to the tireless work of secretary Kerry in bringing us to this point. "For years we have seen the indiscriminate targeting by the Assad regime of civilians and moderate groups, and heard only broken promises leading to sieges and starvation. "I call on all parties to the Syria conflict and all countries with influence upon them to do what is needed to end violence and lift sieges. In particular, it's vital that the regime in Damascus now delivers on its obligations, and I call on Russia to use all its influence to ensure this happens. They will be judged by their actions alone. "I hope this agreement will begin to unlock the flow of desperately-needed aid to Syria's people, particularly in and around Aleppo, and that it will create the necessary space for a credible political process based on the Geneva Communique. "It is only through a political transition that Syria will rid itself of the twin scourges of Assad and terrorism, and give the country and its people the chance of a peaceful future. "The Syrian opposition high negotiations committee set out in London this week a clear and detailed plan for securing that transition; the Assad regime must now respond with convincing ideas of its own, not bombing, shelling and sieges." One of the most surprising elements of the Geneva deal is that the US and Russia will share intelligence and co-ordinate targeting for strikes against IS and the al Qaida-linked Nusra Front, now known as Fath al-Sham. The arrangement hinges on Moscow pressuring Assad's government to halt all offensive operations against Syria's armed opposition and civilian areas. Washington must persuade "moderate" rebels to break ranks with groups linked to al Qaida and other extremists.